Right-wing author Jerome Corsi claims in a forthcoming book that he has a joint defense agreement with President Donald Trump and was provided limited immunity during his testimony before special counsel Robert Mueller’s grand jury to discuss a “cover story” he claims he crafted for Trump confidant Roger Stone. Corsi, who has been interviewed six times in the investigation over the course of more than two months, writes in “Silent No More: How I Became a Political Prisoner of Mueller’s ‘Witch Hunt,'” which The Daily Caller News Foundation obtained, that he entered into the defense agreement with Trump after being advised that Trump’s lawyer, Jay Sekulow, was interested in the arrangement. Stone vehemently denied Corsi’s claim about the origin of the memo to TheDCNF on Monday. He insisted that he and Corsi discussed the Podesta brothers’ activities and that his tweet was a reference to opposition research that would come out on the topic. He also noted that Corsi has not claimed to have emails or text messages supporting his contention about the memo. Stone also provided TheDCNF with a series of tweets he posted prior to his now-infamous tweet that showed that he was tracking reporting on the Podesta’s business activities in Ukraine. “John Podesta makes Paul Manafort look like St. Thomas Aquinas. Where is The New York Times?” Stone wrote on Aug. 15, 2016, referring to news articles alleging that Manafort, the chairman of Trump’s campaign, had engaged in illegal business dealings in Ukraine. Stone claims that he was researching the Podesta Group’s lobbying activities in Ukraine. Corsi announced the release of his book Monday in an interview and said that he had rejected a plea offer from Mueller’s team. Corsi, 72, claimed that prosecutors wanted him to plead guilty to making false statements regarding WikiLeaks. He rejected the offer, saying that he would not plead guilty to a crime he did not commit. “This saved creating a document that might appear later in some relevant legal proceeding or newspaper article,” Corsi writes. Joint defense agreements are common in criminal proceedings, especially when multiple witnesses and investigative targets are dealing with the same prosecutors. Trump has one such agreement with Paul Manafort, the former Trump campaign chairman who was convicted of tax and bank fraud in the special counsel’s probe on Aug. 21. Prosecutors often bristle at the agreements because they allow witnesses to exchange information about the investigation that would otherwise be limited by attorney-client privilege. Corsi says he and the Trump team entered into the agreement prior to Corsi’s first meeting with the special counsel’s office, which was held on Sept. 6. Corsi’s first encounter with investigators was on Aug. 28, when FBI agents issued him a subpoena to testify before the grand jury. Corsi claims that his attorney, David Gray, was skeptical of entering the agreement out of fear of being seen as less-than-cooperative with the special counsel’s office. Corsi says that after a few days of consideration about the ramifications of entering the agreement, Gray phoned Sekulow and accepted the offer. “After debating the pros and cons, we had decided that anytime we could get the attorney for the president of the United States to offer assistance to us, we needed to say to be thankful and accept,” writes Corsi. “I wanted the president warned NOT to give in-person verbal testimony to Mueller under any circumstances,” he adds, expressing concern that prosecutors were moving towards a “perjury trap” against him for misremembering details about a July 25, 2016, email he received from Stone. Sekulow has not responded to several request for comment about the defense agreement. Corsi accepted “limited use immunity” from prosecutors to avoid what he claims would have been another perjury trap. He writes that the immunity discussions began after Aaron Zelinsky, a prosecutor on the Mueller team, asked whether he was aware that Stone had testified to the House Intelligence Committee that Corsi’s research on the Podesta brothers was the basis for his Aug. 21, 2016, tweet. “David explained to me that I could be criminally charged for subornation of perjury for my role in creating a ‘cover story’ about Podesta that Stone used in his testimony under oath to the House Intelligence Committee,” Corsi writes. Stone’s Podesta tweet has been a central part of the special counsel’s Russia probe. 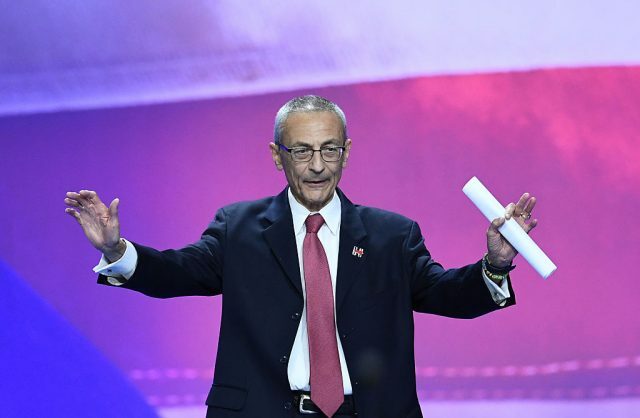 John Podesta asserted just after Trump defeated Democratic presidential candidate Hillary Clinton that the tweet and others Stone posted before WikiLeaks’ Oct. 7, 2016, release of Podesta emails showed Stone had advance knowledge of WikiLeaks’ plans. 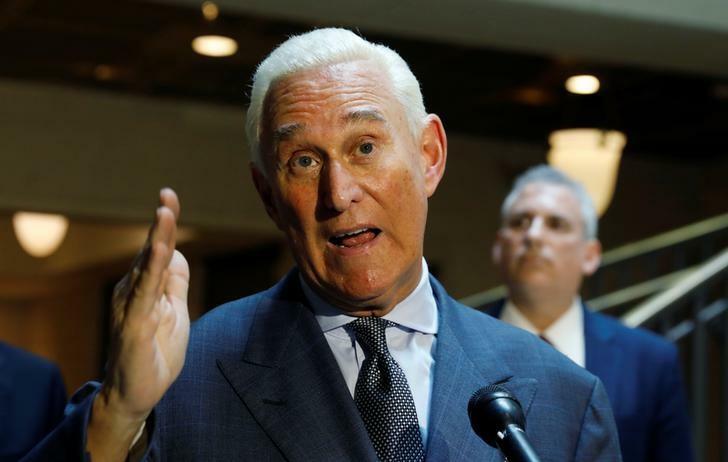 Stone has claimed other tweets he made about WikiLeaks in October 2016 were based on tips he received from Randy Credico, a left-wing activist who is close friends with WikiLeaks lawyer Margaret Ratner Kunstler. Stone released text messages on Nov. 14 that showed that Credico told him that WikiLeaks would release documents that would roil the Clinton campaign. “Hillary’s campaign will die this week,” Credico texted Stone on Oct. 1, 2016. “Julian Assange has kryptonite on Hillary,” Credico told Stone on Aug. 27, 2016. Though Credico appears to be one source of information for Stone, prosecutors appear unconvinced by Stone’s public denials that he had no other back channels to WikiLeaks. For his part, Corsi denies ever speaking to WikiLeaks founder Julian Assange or any of his intermediaries. Corsi writes that his alleged cover up plan with Stone began on Aug. 30, 2016, when Stone emailed him asking to speak on the phone. Corsi emailed the nine-page memo to Stone the following day. “So you knew this was a lie when you wrote the Podesta email,” Zelinsky asked Corsi during one question-and-answer session, he writes. Corsi maintains that neither he nor Stone committed any crime. “The evidence I provided against Stone was very weak,” he asserts. “So, what if we had concocted a cover story to explain away Stone’s ‘Podesta’s time in the barrel’ email … So, what if Roger Stone used my cover story to testify before the House Intelligence Committee. Roger could amend that testimony and Congress rarely pursues anyone for criminal charges of perjury,” he wrote.